So you have signed up for your first big overseas adventure. It could be a walking tour in Italy, a cycling tour in Vietnam or a trek in Nepal. You might find yourself away for a week, three weeks or more than a month. Your packing list is extensive, you’ve got a 20kg baggage allowance and you’re not sure where to start. So what do you pack and what do you leave home? While we would like to be prepared for all occasions when we travel, with adventure travel sometimes we just have to make do. When we decided to honeymoon in a campervan in New Zealand and walk as many of the best tracks as we possibly could in one month, we tried to pack light. Boots, hiking packs, tent, sleeping bags, camping equipment, clothing and toiletries. As a pair of self confessed dags with only our own company to worry about, we thought, what more would we need? About half way through our trip, we rolled into Mt Cook Village camping ground. We discovered in our guide book that the Hermitage Hotel at Mt Cook was a bit renown at the time for being one of the best places to dine. After two and a half weeks of porridge, pasta and tuna sandwiches, we made a reservation in their a la carte restaurant. But had we packed the right clothing for such a fine dining establishment? After a day on the trails we headed to the campground for a well earned shower. No hot water, said a sign outside the shower block. We looked at one another: matted hat hair, sunscreen-grimy faces and body odour blowing in the breeze. Thank goodness we still had spare wet wipes. Then there was the question of what to wear? I hadn’t packed more than ‘travel clothes’ to fly in and then hiking gear to walk and trek in. I had just one clean set of hiking clothes left and an old thermal fleece. That would have to do, with my hiking boots because wearing my camp sandals -- yes you know the ones, the velcro strappy ones often worn by a mature demographic that look a treat with merino socks -- could have not only meant failing on the dress code but also committing a major fashion crime. Thank goodness the Hermitage didn’t have a strict dress code for their a la carte restaurant. We were seated away from others, feeling a picture of shame as we dined awkwardly and joked that the chef’s complimentary soup was because the waiting staff felt sorry for us in our sorry state. While we got through the evening unscathed, I learned a lot. Firstly, I didn’t do my research before I left home. As this was an independent trip, we didn’t have an agent or tour operator to check with. 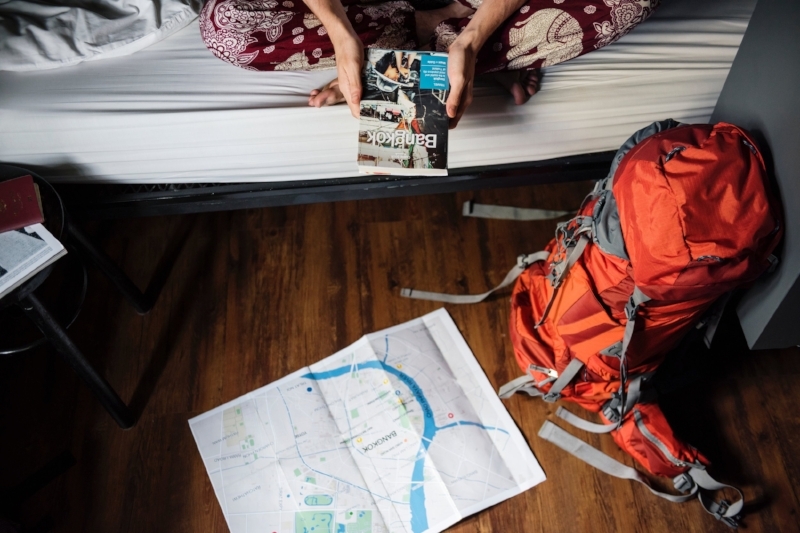 If you have booked a tour or travel with an agent or operator, ask for a comprehensive packing list as some walking tours and treks will have a specific equipment list, otherwise research the ‘must do’ activities in your destination so you can pack for them. Check the local weather reports. Layers are a great idea for not just warmth but also when mixing and matching, say leggings with a dress. For travel or transit days, choose comfortable crinkle-free clothing that can possibly double as an evening outfit. Crinkle-free shirts, pants and even dresses can be found at most camping or outdoor clothing stores. A comfortable pair of walking shoes can also be worn with an evening outfit if necessary e.g. sandals. If you have a trek or hike planned, wear your boots on the plane or keep them in your carry-on luggage in case your checked-in luggage is lost. It’s much easier to replace clothes at the last minute than a well worn-in pair of hiking boots. Places of worship and some cultures generally will require you to cover legs and shoulders so always pack at least one pair of long pants or a long skirt and a pashmina or sarong. Roll your clothes when packing to avoid creasing and maximise space. Reconsider your need for make-up – can you get away with a basic kit or none at all? Adventure travel is a great opportunity to go make-up free. Check if hotels have a hair dryer so you can leave yours home and for trekking, consider a head scarf (Buff or similar) or hat to cover up a bad hair day. Most of the time the fashion police also go on annual leave too, so chances are you can get away with an unplanned outfit here and there. If in doubt ask the question, what will pass for respectable, respectful and comfortable?